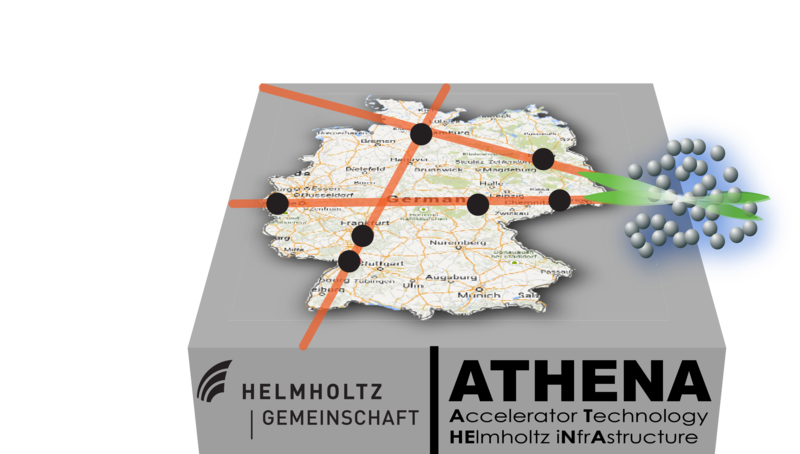 ATHENA (“Accelerator Technology HElmholtz iNfrAstructure”) is a new research and development platform focusing on accelerator technologies and drawing on the resources of all six Helmholtz accelerator institutions (DESY, Jülich Research Centre, Helmholtz Centre Berlin, Helmholtz Centre Dresden-Rossendorf HZDR, KIT and GSI with the Helmholtz Institute of Jena). 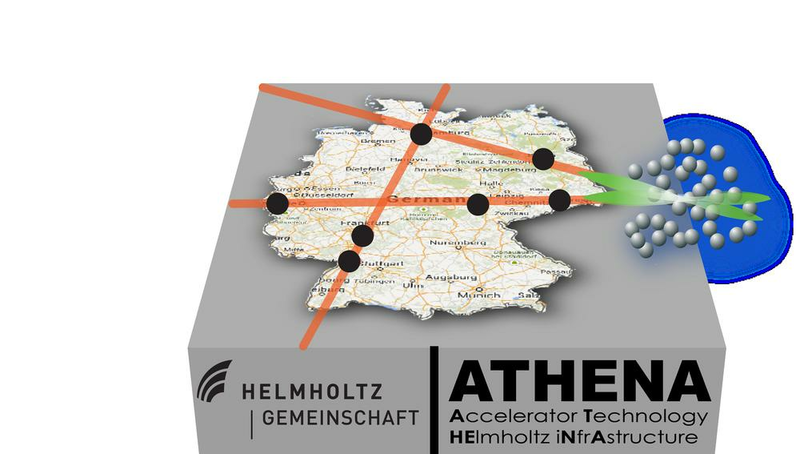 The Helmholtz Association has now decided to fund ATHENA as a strategic development project with almost 30 million euros. “This decision demonstrates the Helmholtz Association’s strong commitment to developing and supplying ground-breaking new accelerator technologies for solving the future challenges faced by society,” says Helmut Dosch, who is the Chairman of DESY’s Board of Directors and also the spokesperson for the Helmholtz Association’s research division Matter. 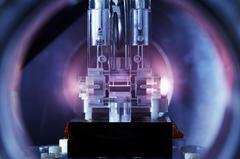 Together, these centres want to set up two German flagship projects in accelerator research based on innovative plasma-based particle accelerators and ultramodern laser technology: an electron accelerator at DESY in Hamburg and a hadron accelerator at HZDR. 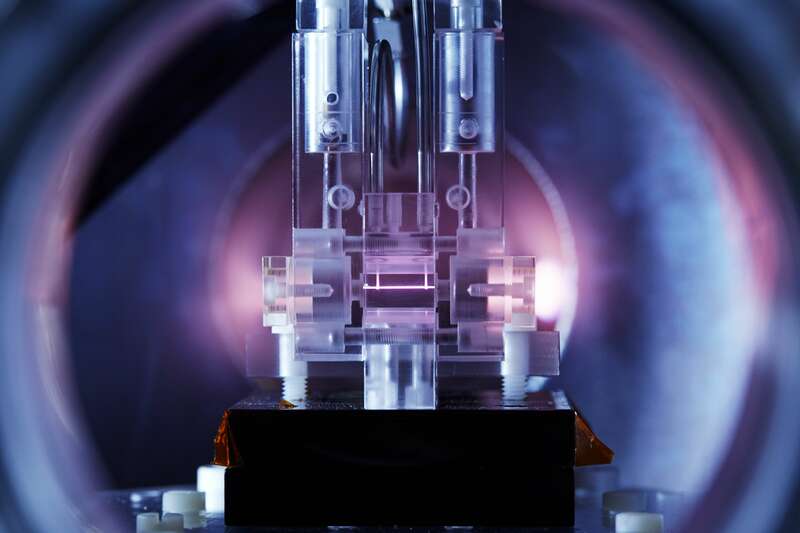 At both facilities, a range of different fields of application are to be developed, ranging from a compact free-electron laser, through novel medical uses to new applications in nuclear and particle physics. As soon as they have reached the necessary level of maturity to be put to practical use in a particular area, new compact devices could be built for use in other Helmholtz centres, as well as in universities and hospitals. Only few centimetre long plasma cells can accelerate particles to high energies (photo: DESY/H. Müller-Elsner). The work on ATHENA is closely embedded in the wider context of European research through the EU-sponsored design study EuPRAXIA, with its 40 partner institutes, which is also coordinated by DESY. Hence the top German research project ATHENA has had a clear European perspective and orientation right from the start.